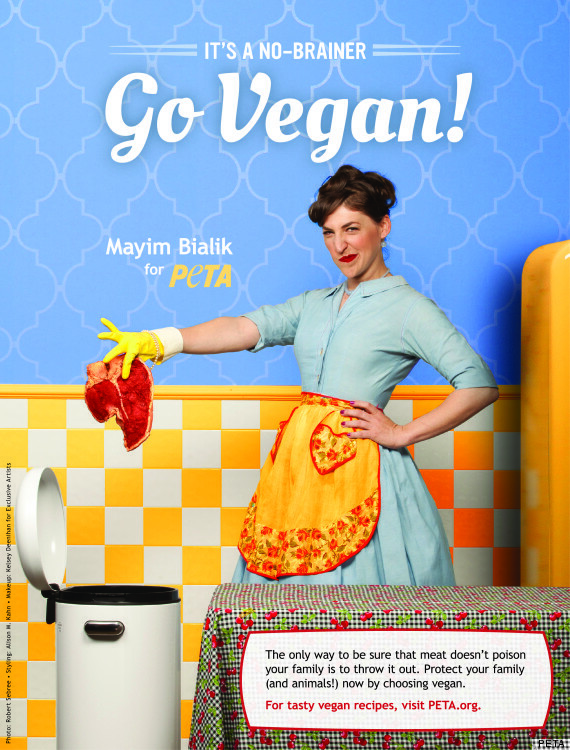 Mayim Bialik is speaking out about the benefits of a meat-free diet in a new ad for PETA (People for the Ethical Treatment of Animals). Bialik, star of “The Big Bang Theory” and a longtime vegan, says much of the inspiration behind her decision to shun all animal products was Jonathan Safran Foer’s book Eating Animals. “There were two major shifts for me when I became vegan,” the Emmy Award-nominated actress tells PETA in a video interview. “I never had a sinus infection or been on antibiotics since cutting out dairy… I’ve noticed that my true seasonal allergies are much less severe… But I think he most significant shift for me was I used to feel guilty, even as a child, I felt very guilty about eating animals and never knew there was something to do about it. And as I got older, it became clearer that there are things that I can do and choices I can make.” For Moment‘s interviews with Bialik, click here and here.